A beautiful ceremony deserves a beautiful program and keepsake for your guests to remember your occasion. Give your attendees a special, unique memento from your wedding they will be honored to have been a part of. Completely coordinate your ceremony programs with the rest of your wedding stationery, whether we designed your invitations or not! 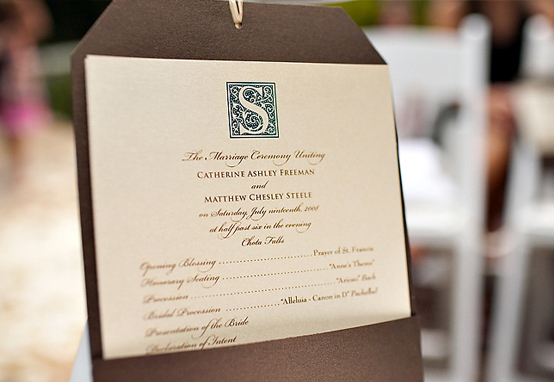 Browse through our program galleries for customizable, fully designed programs, or simply provide samples of your invitations or other stationery, and we will be happy to create programs that compliment your invitation suite beautifully.